When you're short on storage space, staying organized in a small kitchen can be especially challenging. Without the luxuries of a walk-in pantry or a floor-to-ceiling cabinetry system, kitchen clutter can accumulate rather quickly. As anyone who's unpacked a bag of groceries in a kitchen lacking sufficient counter space can attest, maintaining order in a tiny kitchen is difficult, to say the least. For tips on how to achieve organizational bliss in a small kitchen, we decided to consult the experts: the co-founders of The Home Edit, Clea Shearer and Joanna Teplin. Known for curating clutter-free spaces, Shearer and Teplin had garnered a long list of celebrity clients, including the likes of Mandy Moore, Khloé Kardashian, and Busy Philipps. Not to mention, 1.1 million followers on Instagram. Naturally, The Home Edit co-founders are at the top of our list when we're seeking organizational advice. "A well-organized kitchen means that everything has a home and the items that live there are pared down to the necessities," Shearer and Teplin tell MyDomaine. "The storage solutions should also mesh well with the measurements of the space and streamline a daily routine." Ahead, the organization experts share their tried-and-true tips for transforming cluttered pantry shelves, crowded spice cabinets, and overflowing fridge drawers into neat-and-orderly spaces that would make even Marie Kondo proud. Keep scrolling to see how it's done. 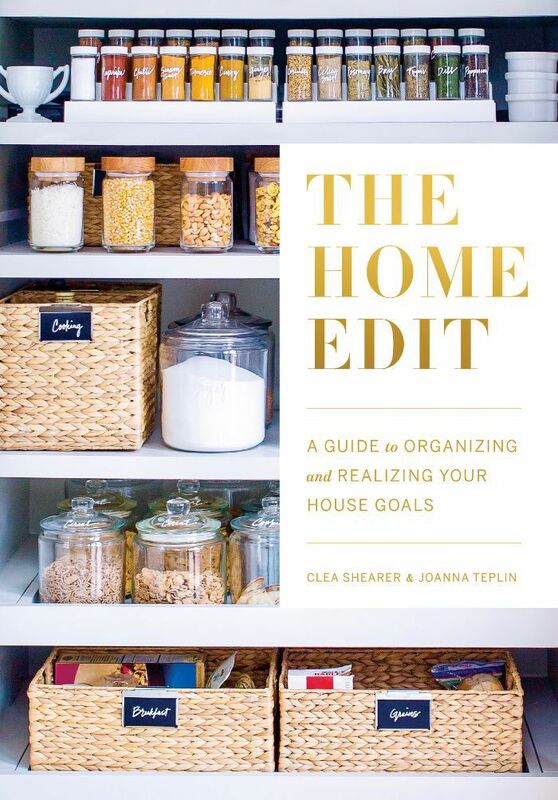 Every space The Home Edit team sets out to organize starts with the same step: An edit. 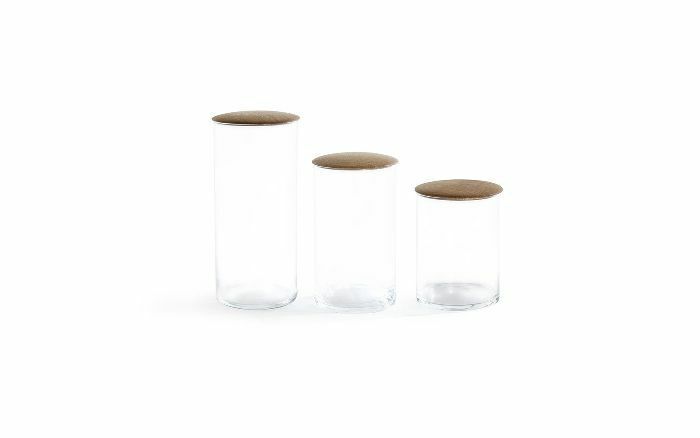 "This means removing everything from the shelves, purging what you don't need, categorizing the remaining items, and creating a functional system—whether it's with bins, canisters, or other storage solutions," Shearer and Teplin tell MyDomaine. "Deciding on a system isn't one-size-fits-all. It comes down to the items and space the client has, as well as what system would be the most efficient for their lifestyle." According to the duo, this step is especially important when organizing a space with limited square footage. "For a small kitchen, it's important that cabinets, drawers, and baskets aren't filled to the brim," they explain. "It can cause clutter to spill out and become a bigger problem." To avoid this problem, opt for storage containers that are practical and fit the dimensions of your space. "For example, if your shelves have extra height, you want to choose something stackable," the pros offer. "If your shelves or drawers are extra deep, pick a bin with depth." The fridge is arguably the most difficult-to-declutter space in the kitchen, but Shearer and Teplin have an ingenious organizational strategy for ensuring everything has a place. "There are many ways to organize a fridge, but we like to create a zone system with containers," divulges the duo. "Not only does it keep your fridge clean and uncluttered, but a defined space also helps you easily take stock of your items before heading to the grocery store." 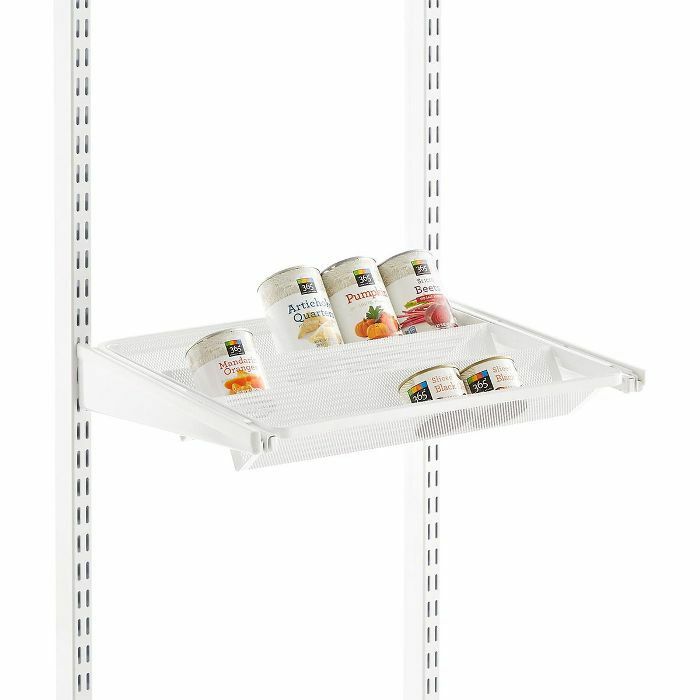 Every fridge has different shelving systems with unique spacing, so it's important to measure your empty fridge before buying containers, caution Shearer and Teplin. "The bins or trays you purchase should comfortably fit the height and depth, or else it will be harder to maintain," warn the pros. "Items should never be buried or hard to access." This small improvement can make all the difference when it comes to optimizing the functionality of your kitchen. When organizing a small pantry, it all comes down to utilizing storage solutions that maximize the space you have, say Shearer and Teplin. "If you have the wall space, hang shelving, hooks, or modular storage to get things off countertops and other surfaces," advise the pros. "For example, if your kitchen lacks a pantry, create a substitute with a wall-mounted cabinet or shelf and some stacked dry goods containers." Going vertical will free up valuable shelf space and countertop real estate, in addition to making items easier to access. That said, be sure to take stock of your pantry's contents before heading to The Container Store to splurge on custom shelving. "Whether you have a small cabinet or a walk-in pantry, it's important to spread the contents in front of you," state Shearer and Teplin. "Once everything is out, you can see what you have, check the expiration dates, toss anything old, and combine any duplicates. This process will also help you realize what items have gone to waste, and what you shouldn't purchase again." "Once you create a system, it all comes down to putting things away where you found them—simple enough," Shearer and Teplin tell MyDomaine. To make long-term maintenance more manageable, the pros suggest labeling. "Life becomes easier when you don't need to waste time searching for things," the duo points out. "Since everything has a visible 'home,' items become easier to find, plus it will act as a guilt mechanism when you try to place something in the wrong spot." When labeling, it's important to keep in mind that food will expire and items will be in constant rotation, caution Shearer and Teplin. "That's why we don't get too specific with pantry or fridge categories," the duo divulges. "If the categories are too specific, there will always be items that won't have a place and that's when clutter starts to appear. Stick to general categories like Breakfast, Snacks, Baking, Spices, etc. If there's a specific item that deserves its own container, make sure to label it." 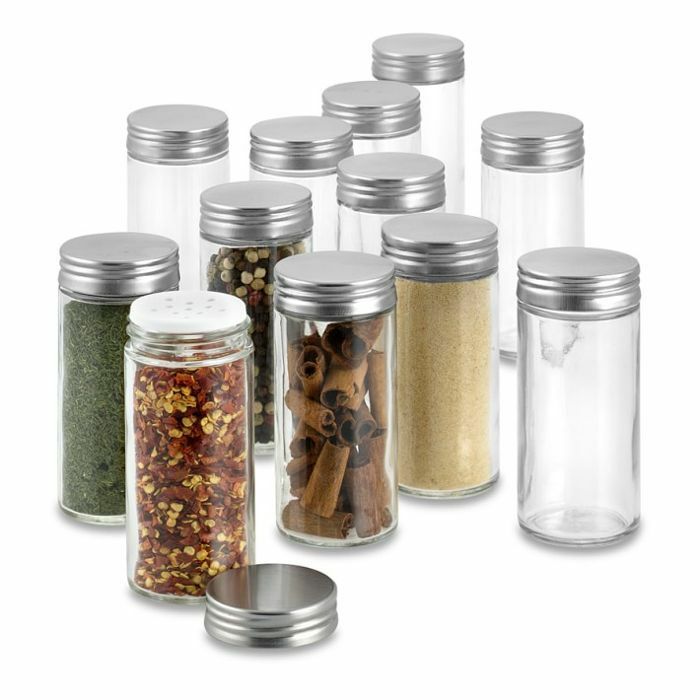 Clear airtight canisters are a must-have in any kitchen, according to the organizational experts. "These come in a variety of sizes from large to small, wide or tall," Shearer and Teplin tell MyDomaine. "Fine powders (flour, baking soda), loose snacks (dried fruit, nuts), pasta, cereals, and grains can be stored and kept fresh." Clear, small glass jars are another organizational tool the pros at The Home Edit swear by. "These are perfect for spices," say the experts. "For easy access, arrange them in alphabetical order or color-code on stackable shelving or a divided turntable." 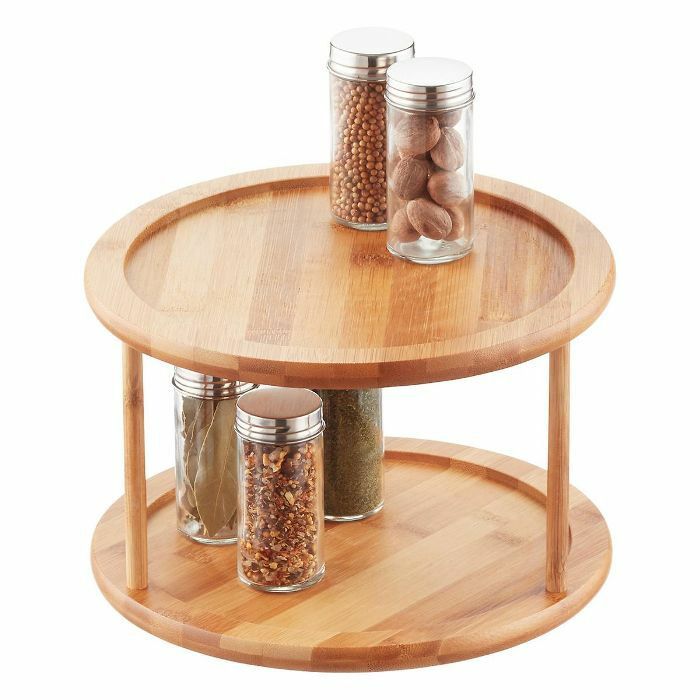 Use a turntable "to display [your] most-used spices, canned goods, salad dressings, vinegar, and condiments," advise Shearer and Teplin. 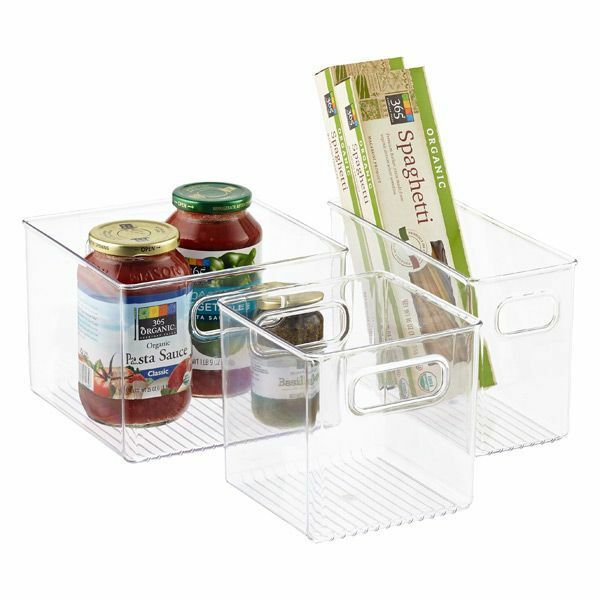 "For a busy lifestyle, bins and baskets tend to be easier to maintain," offer The Home Edit pros. "They can hold dry snacks (crackers, popcorn, granola bars, chip bags), beverages, canned items, condiments, and more specific categories." Customizable shelving is "perfect for kitchens that lack enough cabinet or drawer space," they explain. Shearer and Teplin tell MyDomaine that they often turn to the brand Elfa for their shelving needs. "It allows you to create a custom system that fits your items and lifestyle." 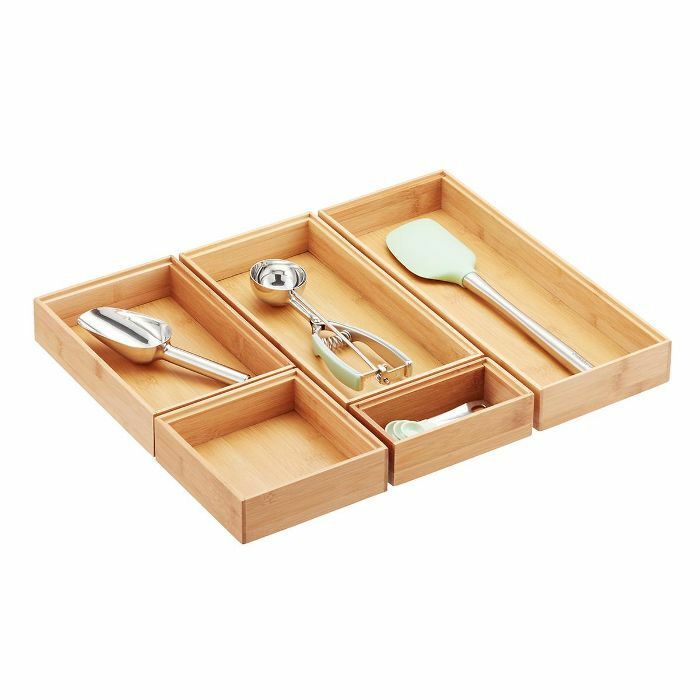 "We love using bamboo drawer inserts to separate and contain categories, especially for kitchen tools and cutlery," the pair explains.